BBC NEWS | Programmes | Newsnight | Should the BNP be given airtime? Should the BNP be given airtime? 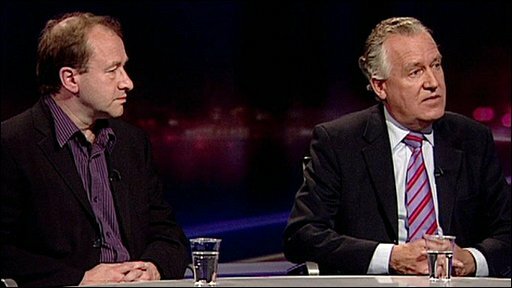 Jeremy Paxman is joined by the Welsh Secretary Peter Hain and by Ric Bailey, the BBC's chief adviser on politics, to debate the BBC's decision to invite the leader of the British National Party to appear on Question Time.